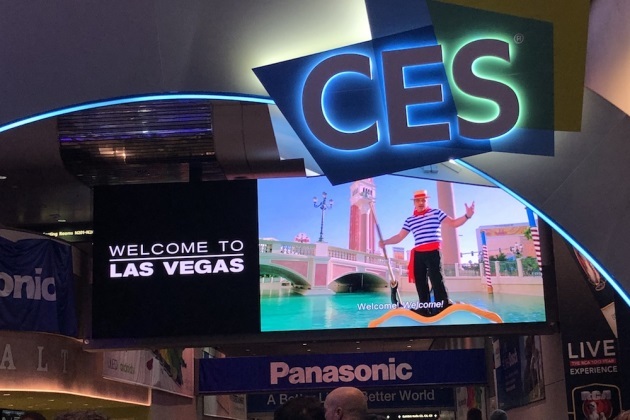 There is no place like CES, the Consumer Electronics Show that happens in Las Vegas every year, to find the latest skills that Alexa can perform or new ways to conquer your world one robot, one pair of smart glasses, or one new 8K television at a time. Travel2020 cut through the clutter (and that’s a lot of cutting with 4,500 products to peruse!) to come up with the latest in newfangled travel gear for travelers looking to make their trips more comfortable. This is part two of a quick glance at technology that is changing the way we travel. 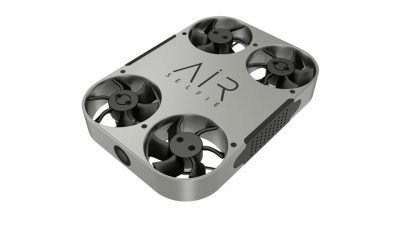 The AirSelfie is part-drone, part-phone camera. 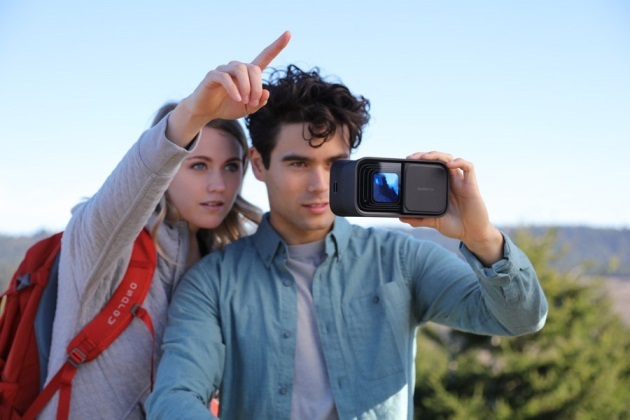 The AirSelfie is, indeed, the first portable HD aerial camera out there that was made for the selfie-crazed traveler. It looks like an atomic cocktail coaster with four small rotors on a plastic case that is about the size of a hand and weighs less than a wallet. It offers around six minutes of flight time. Simply remove the flying camera from the powerbank and switch it on. Open the AirSelfie app, press the lift button and watch the flying camera hover to heights up to 65 feet. Adjust height and direction with the app and let the auto-hovering camera take overhead HD aerial shots or video. Land the camera smoothly into an open hand or grab it while it's hovering in midair. The camera has sophisticated sensors and also serves as a small hot spot. An embedded 16GB SD card stores all the photos, which can later be downloaded into a computer. Prices run around $199.95. 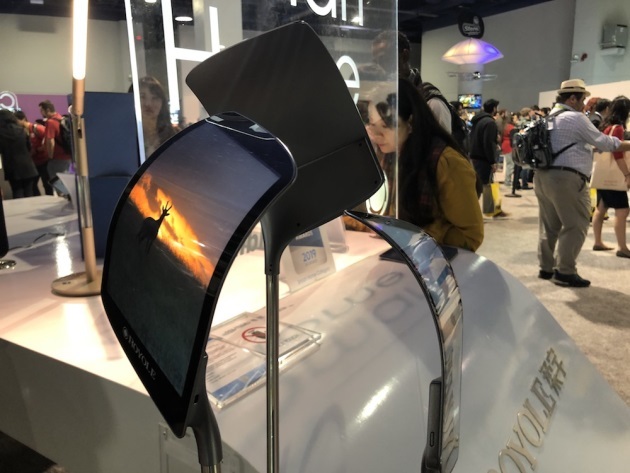 Royole’s FlexPai can be bent 200,000 times. 2. A tablet that turns into a smartphone. While many of us do not think we need a tablet that folds down into a wallet-sized phone, Royole thinks we do and created the FlexPai. The wisdom of this device is that it is two things in one: You can read a book or watch a movie on the full-sized tablet or make a phone call from the device, which can then fit into your pocket. The secret sauce is the patented screen that can be folded and shaped and wrapped around nearly anything. The screen is virtually unbreakable and supports more than 200,000 bends. It cannot be cracked and is scratchproof. As with other tablets and phones, the FlexPai is also a camera with two lenses for photos and videos and improves upon the photo-taking experience by letting the snapper and the subject of the photo see the pose at the same time. The OS allows for a split screen display and has a drag and drop interface. Selling price is $1,500 — but you get two devices in one with that. Everyone knows what a challenge talking can be between cultures where neither party speaks a language in common. And while translating gadgets and apps are nothing new, they have been helped significantly by advancements in AI. The WT2 Plus is an ear-to-ear wearable translator for face-to-face bilingual conversations, and translates languages in nearly real-time. It comes as two earphone translators, a charging case and an app. Parties talk and the app translates in conversational text format and speaks the translation into the receiving party’s ear. The software supports 36 languages and the earbuds also operate as noise reduction devices. The items start at around $99, although the price has yet to stabilize. 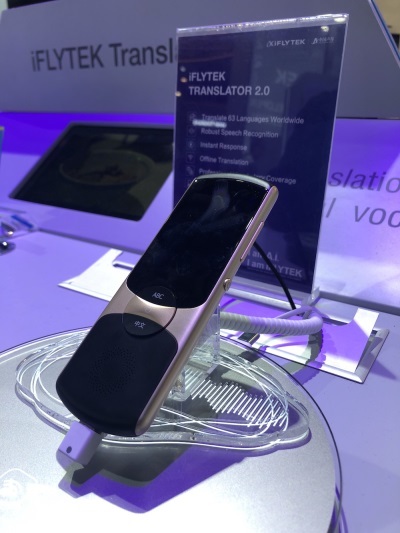 Another translation device spied at CES2019 is the iFLYTEK Translator 2.0. It’s a sleek gadget that has its own palm-sized hardware. It translates 63 languages with advanced speech recognition capabilities and offers an instant response in text boxes on the small screen. Power users will like the professional vocabulary coverage built into the software for industries like healthcare, IT and finance. It supports communication for up to five hours at a time. The price is $450. NexOptic’s DoubleTake has even grabbed the attention of NASA. Binoculars were always just binoculars. Until now. NexOptic has created reimagined binoculars in the DoubleTake. They can spot game in the bush, coffee pots in distant apartments and take a movie, share a shot and capture images in ways that have even caught NASA’s attention. It runs on a patented Blade Optics lens design for improved resolution that can quickly and accurately target a movie object, push that shot to other nearby devices with internal Wi-Fi, upload that image to social media through an app, live stream it to a smartphone and record it in 4K video. Plus, it’s no bigger nor heavier than that pair of low distance binoculars that have been sitting in the bookshelf for two decades. A price has not yet been set. Anyone who has traveled with someone who snores knows that pain that comes in the middle of the night when you are awakened in the hotel room you are sharing by percussive tremors from your companion’s nostrils and realize you may not get a fitful night of sleep during the trip. Long-haul flyers know the pain of settling into the midnight hours with some hope of sleep and suddenly hearing the disturbing noises from three rows down. QuietOn has taken on this challenge with a solution for a very real problem. The Finnish company created an earbud with active noise cancelling technology that is particularly effective in the lower frequencies — decibels foam earplugs do not touch. It releases a calm masking sound and nothing else. It is tiny, fits right in the ear and can be used to muffle day sounds and conversations as well. 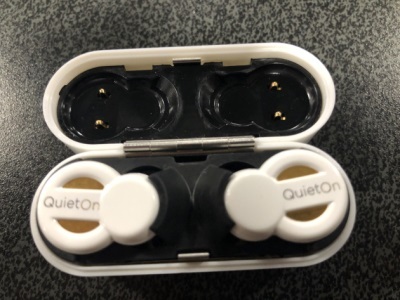 The company says it is in talks with major airlines to offer QuietOn earbuds as an amenity in upper class for long-haul flights. The sleep buds start at $159.